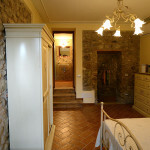 2 apartments and 2 rooms are available at Agritourism Corte Davini, all obtained from an old stone farmstead (18th century) wisely refurbished of late. Every accomodation has a private bathroom and is ideal for holiday or working stay absorbed in serenity and privacy that only could be offered by countryside. 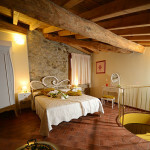 Please, contact us to arrange long stays and with many people.